CLEVELAND, March 26, 2018 /3BL Media/ — KeyBank Community Development Lending & Investment (CDLI) has provided a total of $23.7 million in Fannie Mae financing to Harmony Housing, a 501(c)(3) nonprofit organization dedicated to providing safe, clean and comfortable affordable housing throughout the United States, for the acquisition of two affordable housing properties in Texas. Key provided acquisition financing for Villas at Willow Springs, a 220-unit, garden-style apartment complex located in San Marcos, TX. The property consists of 55 residential buildings, with a mix of two- and three-bedroom units, and one leasing office/clubhouse. 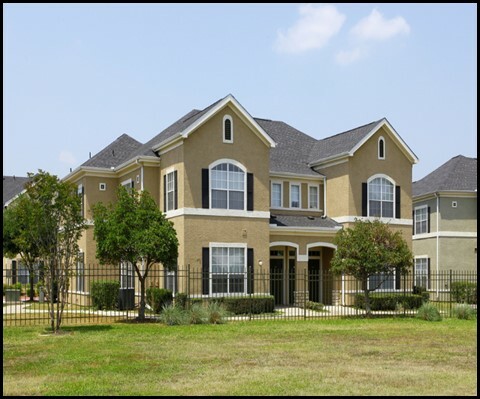 Developed in 2001 under the Texas Department of Housing and Community Affairs (TDHCA) Section 42 Low Income Housing Tax Credit (LIHTC) program, the property reserves 41 units for tenants earning 50% area median income (AMI) and 94 units for tenants earning 60% AMI. The remaining 85 units are leased at market rate. Key also provided acquisition financing for Cantibury Pointe, a 144-unit, garden-style apartment complex located in Lubbock, TX. The property was constructed in 2002 and consists of 36 residential buildings, with a mix of three- and four-bedroom units, and one leasing office/clubhouse. The property was also developed under the TDHCA Section 42 LIHTC program, and reserves 54 units for tenants earning 50% AMI and 54 units for tenants earning 60% AMI. The remaining 36 units are leased at market rate. John Gilmore, IV, of Key's CDLI group and Jeff Rodman of Key’s Commercial Mortgage Group arranged the financing. Harmony Housing is a 501(c)(3) formed to own and acquire multifamily affordable housing across the United States. Harmony Housing’s mission is to provide and grow the availability of affordable housing to those in need around the country. For more information, visit www.HarmonyHousing.org. KeyBank Community Development Lending and Investment (CDLI) helps fulfill Key’s purpose to help clients and communities thrive by financing projects that stabilize and revitalize communities. Experts in complex tax credit lending and investing, Key is one of a handful of affordable housing lenders in the country with a platform that brings together balance sheet, equity, and permanent loan offerings. CDLI has a substantial investment and loan portfolio worth more than $2 billion, 90% of which is Low Income Housing Tax Credit (LIHTC) projects. For its ability to lend to, invest in, and serve its communities –especially low-to-moderate income communities – KeyBank has earned eight consecutive “Outstanding” ratings on the Community Reinvestment Act exam, from the Office of the Comptroller of the Currency. KeyCorp's roots trace back 190 years to Albany, New York. Headquartered in Cleveland, Ohio, Key is one of the nation's largest bank-based financial services companies, with assets of approximately $137.7 billion at December 31, 2017. Key provides deposit, lending, cash management, insurance, and investment services to individuals and businesses in 15 states under the name KeyBank National Association through a network of approximately 1,200 branches and more than 1,500 ATMs. Key also provides a broad range of sophisticated corporate and investment banking products, such as merger and acquisition advice, public and private debt and equity, syndications and derivatives to middle market companies in selected industries throughout the United States under the KeyBanc Capital Markets trade name. For more information, visit https://www.key.com/. KeyBank is Member FDIC.